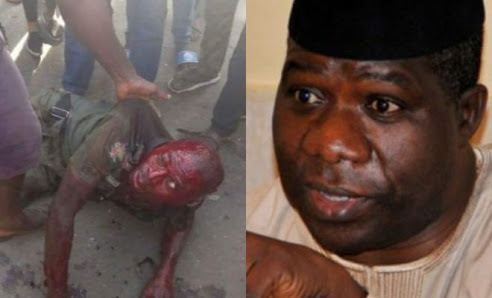 The Nigeria Police Force has dismissed the trigger-happy mobile policeman who shot former House of Reps member, Hon. Opeyemi Bamidele and five other party faithful last Friday. Ekiti State Commissioner of Police Mr. Bello Ahmed, disclosed that the mobile policeman has been dismissed from service to pave the way for his trial in court as soon as he is discharged from the hospital. CP Ahmed said the politician will also be arraigned in court as soon as the Police conclude their investigation into the shooting incident. The police boss also spoke on the readiness of the command to regulate the activities of political parties to prevent violence and other acts that could lead to breakdown of law and order. “You know what is on the ground will determine what will be done. If the situation on ground dictates we behave otherwise, we will do provided it is within the confines of the law. “We are going to regulate every inch of activity in the state. We will not sit down and tolerate any act of lawlessness, whoever is involved.